Product Description: This optical crystal pioneer clock will make a great award or gift. 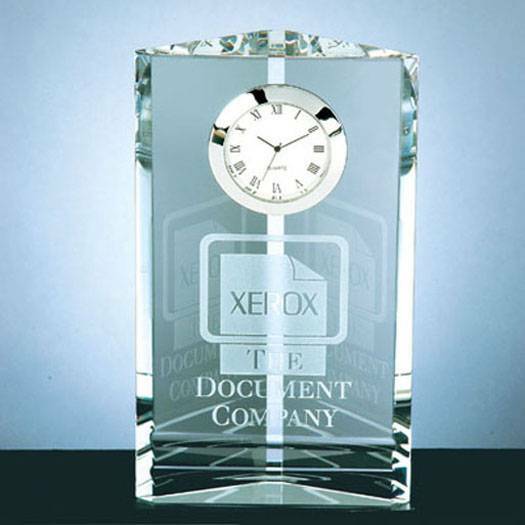 With plenty of room to engrave your company logo and message, this crystal clock will always be a centerpiece that is always looked at. Size: 7"H x 4"W x 1-3/16"